originally published on my book blog March 9, 2015. This book surprised me. It discusses elements of racism within different cultures and feminism undertones. Drow's or dark elves are very disliked. Drizzt Do'Urden is a favorite character and while accepted by his friends he encounters allot of racism on his journey. 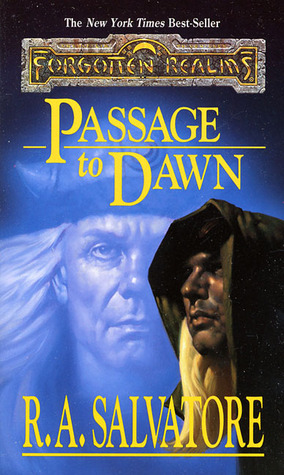 It's only minorly touched on in this book, but you could sense it is a bigger issue in Drizzt's other tales. The feminism undertones come from Wulfgar and Catti-brie. Catti-brie is a very strong female protagonist and she is marrying a barbarian. Wulfgar comes from a tribe of barbarians that treat women like slaves. So Wulfgar is struggling internally with Catti-brie joining battles, speaking her mind, and not heeding his every word. In the end they make up, but at that point it is a little late, sadly. Legacy of the Drow consists of four books. Of which I own all. I am excited to keep reading the series!! More to come later!! originally published on my book blog March 11, 2015. However I loved seeing Catti-brie. Seriously if I ever play a D&D character that's not Druid I would build something like her. I love her bow, seriously that thing is awesome. 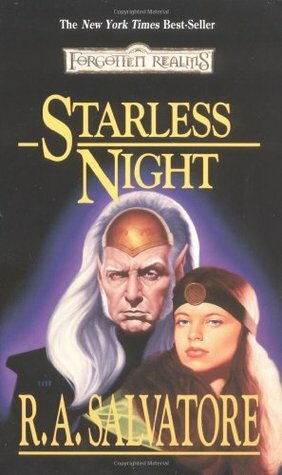 I want to know the Alustriel and Drizzt story. Also the deep gnomes and Drizzt story. Entreri, I hope is a changed man. It shall be interesting to see how his character changes and if it does. One thing though, is he is a human. The older he gets the harder it will be to fight Drizzt. Where Drizzt is a dow and will live many years and is in his prime. The older Entreri gets the less changes he has to win. It took me a good long time to read this book. As I have been dealing with allot of emotions the book just never fit my mood. The battle that we've been excepting almost since book one finally happens and I find myself disappointed. There is allot of time spent with the enemies and their plans. In the underworld and with allies. But I don't really care about them. I wanted to know about Drizzt and Cattie-brie. I wanted them to be the focus and they weren't. I had to wait almost a hundred pages to figure out what happened to Guenhwyvar! My favorite part of the book of course was Cattie-brie and the barbarians. I am curious if that story line will go anywhere in the future. 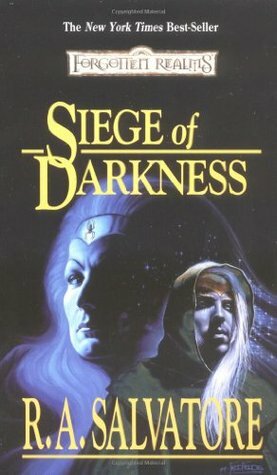 I still want more regarding Alustrield and Drizzt! But I am thinking I'll have to search through the older series to find that. The final book, one last tale too be told and it happens in the bitter cold. Not the whole thing but the ending, happens on ice caps. I hate the cold! The beginning is filled with many sea faring adventures! I would love to have been a pirate! Or in this case the chaser of pirates! I have to say this was my favorite part of the whole series. I loved their pirate stories, how it came about and all the details. I loved their journey to the Wizard and his part in the story. The ending was unexpected, I wouldn't spoil it! But I am glad it was who it was. Full Review of the series, has left me wanting me more R.A. Salvatore's world. 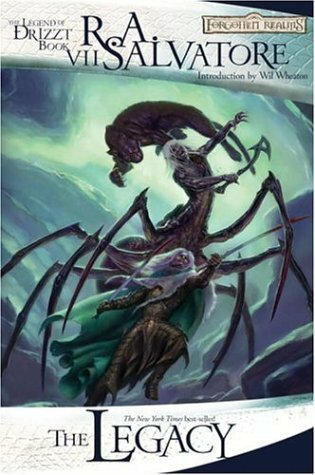 I very much want to know the story of Alustrield and Drizzt. I think if I was to read another book of his I would look specifically for that story!